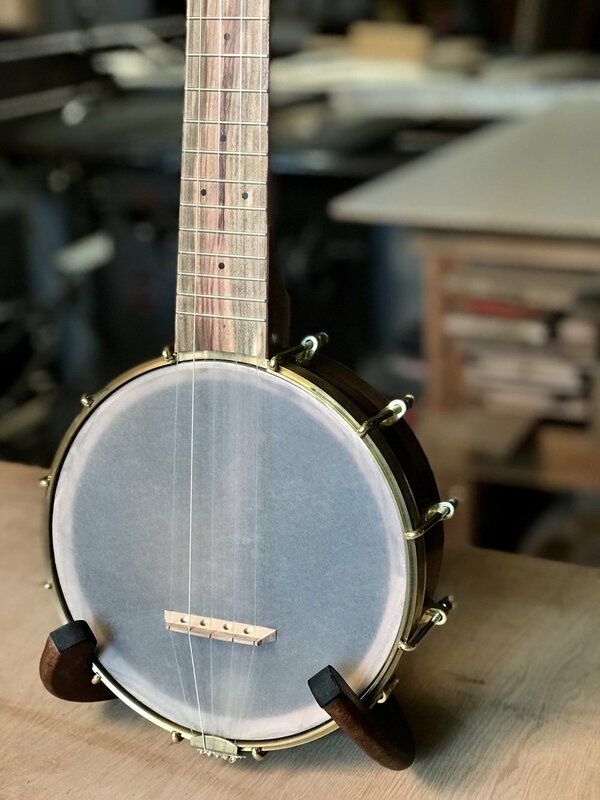 This banjo was a great excuse to use some walnut from the Carpenter Ant stash (Portland, OR) that has some beautiful light colored sap wood. When I laid it out with as a five piece neck it made for a very unique instrument. The reddish, striped pistachio is from California orchards. From the west coast all the way to England, its always hard to send these off, but I can't keep them all!